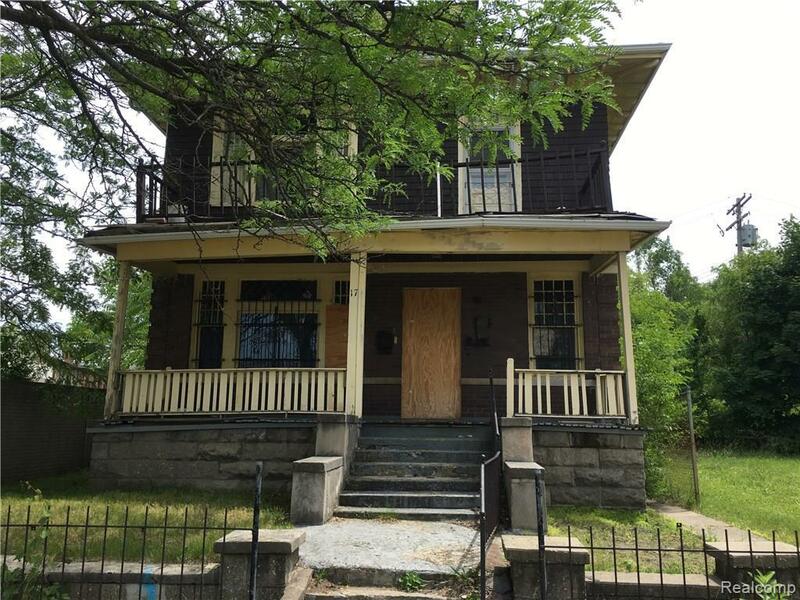 MOTIVATED SELLER!GREAT POTENTIAL INVESTMENT PROPERTY IN NEED OF COMPLETE RENOVATION IS LOCATED STEPS FROM WOODWARD AVENUE (M-1) IN HISTORIC HIGHLAND PARK AND MINUTES TO DOWNTOWN DETROIT. THIS IS A LARGE TWO STORY BRICK HOUSE IDEAL FOR LOWER & UPPER FLAT UNITS WITH TWO BEDROOMS AND ONE FULL BATH. EXECELLENT RENTAL INCOME OPPORTUNITY ONCE FULLY RESTORED.A $495 TRANSACTION FEE TO BE PAID BY THE BUYER TO THE LISTING BROKER AT CLOSING.B.A.T.V.A.I.